Rep. Mark Johnson (R-Hood River) is not a man to cut corners. 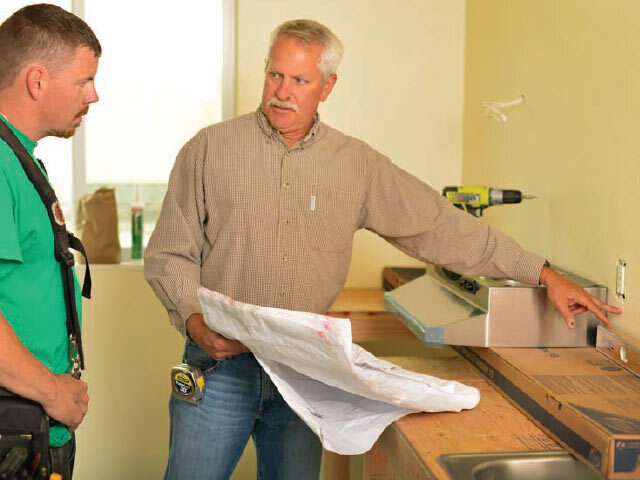 Measuring twice and cutting once is good business for someone who has been a successful general contractor in Hood River County for three decades. Constructing a durable home requires vision, a blueprint and precise execution—not words Johnson feels are normally associated with the Oregon Legislative Assembly. For Johnson, the foundation of the legislature’s work should be transportation issues that are critical to the economy of the Columbia Gorge, and the $1.6 billion shortfall that looms over the state like Mount Hood looms over his scenic House District 52. As the session reaches a critical phase, Johnson says he is still waiting for House Democratic leadership to break ground on issues that matter most to Oregonians. Johnson’s four committee assignments give him a front row seat to debate other high profile issues, including climate change and the future of the state’s education system. For someone who has studied education policy for years and immersed himself in the minutiae by serving as chairman of his local school board, Johnson makes no apologies for where he thinks the state’s focus should be. Johnson also has raised concerns with proposals to double down on the scandal ridden Oregon Department of Energy by transforming it into the state’s climate czar—an area for which they have little expertise. “If we don’t get this right, it could impact the delivery of affordable, reliable electricity,” he said. Johnson, who was first elected to the legislature in 2011, has quickly carved out a niche as a savvy, well informed legislator with bipartisan credentials who is unafraid to tackle many of the state’s thorniest issues. Johnson’s measured tone in committee hearings belies an incisive questioner who does his research. “He’s effective because he’s thoughtful, but he can really make a point without throwing a bomb,” said one lobbyist familiar with the energy committee. Another advocate often on the other side of issues with Johnson explains their strategy for testifying in front of him. Johnson calls his legislative district “one of the most photogenic in the state but also one of the most diverse.” For Johnson, navigating the political diversity of the district is akin to taking on Mount Hood’s infamous Cooper Spur route in a snowstorm. The city of Hood River—with its breweries and galleries— probably has more in common with Portland’s trendy Pearl District than the working class communities in Clackamas and Multnomah counties, whose values are more in line with the Rust Belt than those of Portland. The latter includes members of Odell based Hood River Electric Cooperative. Johnson, whose roots in the area run deep, grew up in the small unincorporated community of Parkdale and has been a member of the electric cooperative since 1987. Johnson is well acquainted with Hood River’s board of directors. He also relies on the cooperative for more than his own electricity. The admiration is mutual. Hood River Electric Cooperative Manager John Gerstenberger lauds Johnson’s “accessibility, graciousness and attentiveness” to the coop and its members. “He understands our mission supplying electricity and broadband to the area,” Gerstenberger said. 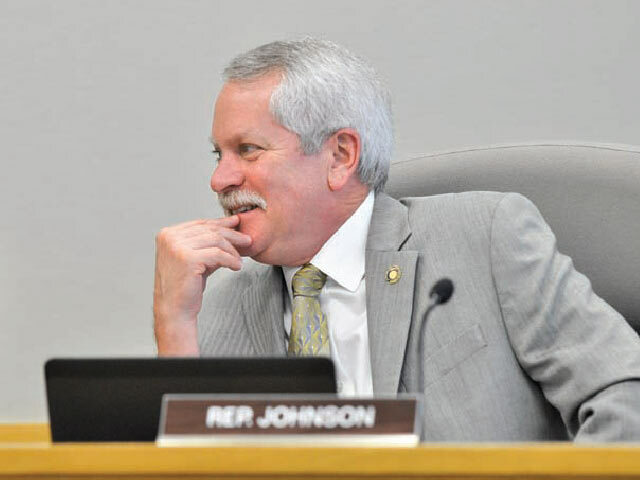 While Johnson is frustrated with the pace of some of the issues facing the legislature, he is optimistic about what he calls “landmark legislation” in the House Education and Workforce Development Committee regarding credit transfers for frustrated college students. It is a subject for which he is clearly passionate. Johnson also holds out hope for a bipartisan transportation package that will address the state’s ailing infrastructure. However, he believes partisan legislation on extraneous subjects makes it much more difficult to do the important things. “We cannot afford to get sidetracked,” he said. In the meantime, Johnson will use the limited tools he has been given to focus the legislature on his blueprint for a more prosperous Oregon. As a member of the minority party, there is only so much he can do: cast votes, build coalitions, and attempt to persuade the Majority Party to adopt a builder’s sensibility when it comes to the state’s future: Measure twice, legislate once—and no cutting corners.